I’m thrilled to introduce you to Mary Montanye. Mary joined my Called to Write Coaching Circle at the beginning of 2013 in order to finish the memoir she’d been working on for five years before she joined us. She’s now tackling her next big writing dream with the help of the Circle: Writing a romantic suspense novel. 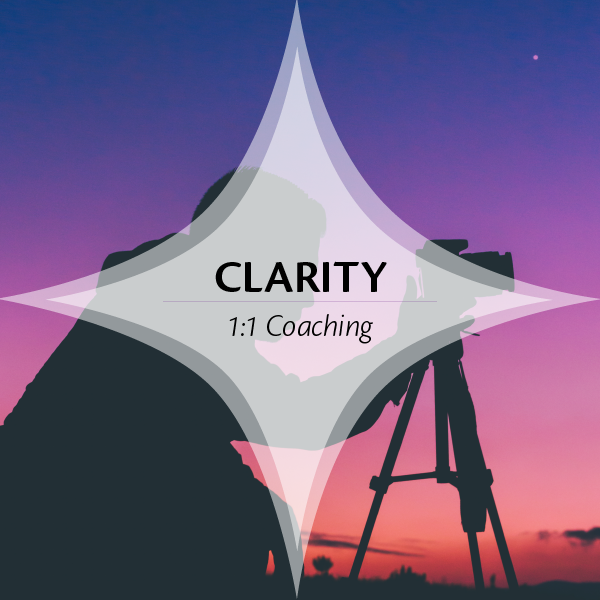 Mary quickly became a staunch advocate for the approach we use in the Circle and joined the team as a coach after participating as a member of the Circle for about a year and a half. I asked Mary to share her insights about writing her memoir with us. My memoir, Above Tree Line, took seven years to write and publish. During that time, I made a lot of mistakes. Here’s what I learned and how I’d do it differently now. 1. Find support early in the process, but don’t let that support stop you from completing the project so you can move on to others. I worked with a brilliant writer and teacher for much of the writing of Above Tree Line. I learned a great deal from her and will always be grateful for the time I spent as her student. But eventually I realized that somewhere in my work with her I’d become stuck. We were spending all our time together going over and over the same material — changing, tweaking, finessing. I began to wonder if my resistance to publishing and her desire to keep me as a student, might be getting in the way. I ended our working relationship and joined Jenna’s Circle instead. I completed my memoir within a couple of sessions and moved into the publishing stage. Start anywhere you feel the heat — a memory, a taste, a color, an image, a sensation, a fragrance. Write from there. “She was born on August 16th at such and such hospital in Honolulu, Hawaii…” will bore you and make it more difficult to continue. Your reader won’t like it either. So why bother? Let the first draft be all over the place. Let it be messy, filled with what was powerful and exciting for you. Ask yourself what interests you about your history or your family. Put it all in, even those parts you know you’ll never let stand. This draft is not the time to censor yourself. If you worry about what your readers will think, you might find you’ve left the gold in the ground and can’t remember where it was when you want to dig it up later. 3. Recognize fear and resistance for what it is — just fear and resistance. It doesn’t mean that you’re not a writer or that it is time to quit. Fear and resistance got the best of me during the writing stage because I was not separating the creating of a project from the publishing or marketing of it. If I was in the middle of writing about a painful period of my childhood, for instance, and suddenly flashed on the idea that someday someone, perhaps even someone I knew and loved, would be reading it, I froze. I also stopped myself from writing when I’d compare my writing to that of others or when I read posts about the impossibility of publishing in the current marketplace. My coach and fellow writers in the Circle gently guided me back to what was in my power to do: write. Write the best story I could write now, they urged, and leave the rest for later. 4. When you share your writing other than with friends and family, it’s a pretty safe bet that someone won’t like it, that you will get rejections or negative reviews. I was devastated when a woman who reviewed my memoir for a contest said that, even though the writing was good, she didn’t like either me or my husband. She was a stranger and still it hurt that she didn’t like me and that I’d portrayed my husband as unlikeable as well, at least in her eyes. I made this one review more important than it was — even more important than the complimentary reviews I’d received. A negative review almost stopped me from ever sharing my writing with anyone again. The lesson in this for me, and I hope for you, is that if you write honestly, if you allow yourself to be vulnerable on the page, you will affect people. And that’s what we want, right? It’s okay if some of our readers don’t approve, like the writing, or even us. Feel your feelings about the review. The Circle and my coach helped me with this, too. They shared my pain and helped me to put it aside, to continue on. 5. Keep at it. If you have a desire to write, you are meant to write. Jenna would say you have a calling, and we both believe that callings are meant to be followed. When I held my published memoir in my hands, felt the weight of it, and flipped through its pages, it was one of the greatest days of my life. I was so proud. I wish you the same experience. No matter where you are in your writing, no matter how unsure you may feel, keep going. Get help if you need it, but whatever you do, don’t give up. It is so worth it! Mary Montanye, her husband, George, and two rescue cockers, Pepper and Chrissy, live on the central Oregon Coast where Mary gratefully writes and coaches while often resting her eyes on the beauty of the natural world that surrounds them. 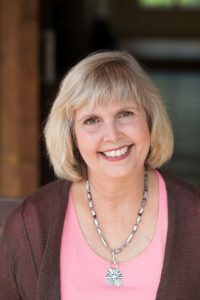 Mary has a master’s degree in clinical social work from the University of Iowa and counseled individuals and families through nonprofit agencies and her own private practice for many years before retiring and following her dream to write. 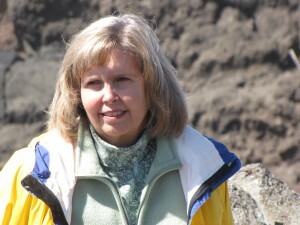 Mary now coaches other writers in the Called to Write Coaching Circle and is working on completing her first novel. You can find Mary online at www.marymontanye.com. Read more from Mary on Called to Write here. 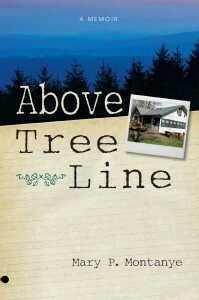 Enter to Win an Autographed Copy of Above Tree Line! Mary has graciously offered to give away 3 autographed copies of her memoir to my readers. 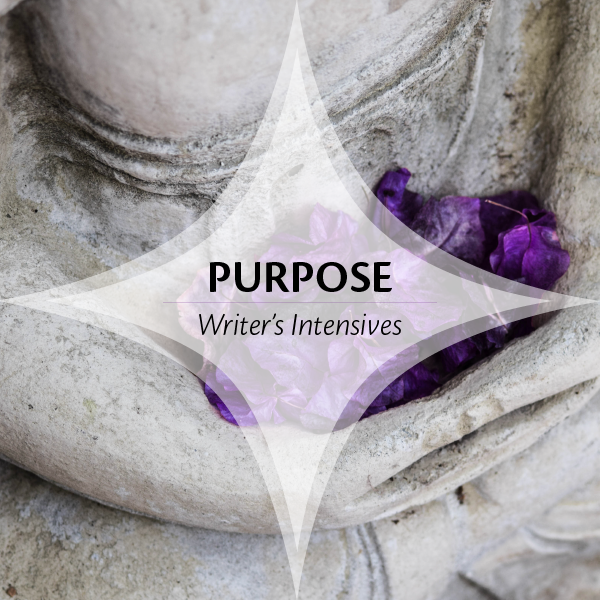 Leave a comment on the blog about one of your own writing lessons or something you learned from Mary’s insights before Friday, March 24th at 5 p.m. Pacific Time and you’ll be entered in the random drawing. You must be located in the United States to win. One of the struggles writers often face is the fear that comes up around sharing the truth through our work. It might be the truth about what we think or about who we are. Or perhaps it is about actual experiences we’ve lived, like those we might share in a memoir. I’ve talked to so many writers who are afraid of what will happen when they tell their personal stories or write their memoirs. Fears about hurting people we care about, fears of being rejected or disliked for speaking the truth. These fears can become real impediments to seeing the project through to completion — and sometimes to even starting it at all! When Mary Montanye joined the Writer’s Circle on a colleague’s recommendation, she was almost done with her memoir — but not quite. She was feeling stuck around moving to the final completion point with the project — a tough moment for any writer — particularly because her memoir would set some deep and personal truths free into the world. We were proud to help her cross that finish line with the support of the Writer’s Circle. I asked Mary to share with us about her experience of completing her memoir and of participating in the Writer’s Circle. Mary, welcome and thanks for being here. First, let’s talk about your accomplishment — finishing your memoir! You joined the Writer’s Circle and finished your memoir in your first session, right? What was that like for you? I did finish it in my first 4-week session. I was very close to the end when I joined the Writer’s Circle. I had been working with a published memoirist/writing coach/teacher for quite a few years and had learned how to write a memoir. She’d helped me dive deep, find the truth and the emotion beneath the “facts” of what had happened. This was good and it made for a meaningful story. However, because I was sharing my truth and some lifelong secrets, I also found it very difficult to push through to the end. Regardless of how often I was told that I didn’t have to “put it out there” if I didn’t want to, I knew the next step after finishing a piece of work was trying to get it published or, if nothing else, to share it with family and friends. This terrified me and, as I closed in on the finish, stopped my writing altogether. Getting over this hump and writing “The End” on the final draft felt great! I have to say this was a highlight of my life. How long had you been working on the memoir prior to joining the Circle? In what way did the Circle help you get over the hump to completing it? I’d been working on the memoir off and on for five years before joining the Writer’s Circle. The Circle provided not only accountability and structure but also a connection to other writers who were putting aside their fears to do what they felt called to do. My writing teacher did provide accountability, but her function was to help me become a better writer. Sometimes when you’re always looking to improve, you never get to the place where you can declare something done, especially when you’re afraid to declare a piece done, as I was. What can you tell us about yourself and about the focus of the memoir? When my husband and I were living and working in Orange County, CA, I bought — on the spur of the moment and by myself — a cabin in a mountain canyon in Colorado. My grandmother had lived in that same canyon when I was a child and I had fond memories of it. That action changed not only my life, but my husband’s and my mother’s lives. The memoir is based on that. How we all got to the point of living in this beautiful mountain canyon and how it affected our relationships with one another. It is also a story of healing from physical illness and childhood abuse. How did you find out about the Circle and what inspired you to join us? I was taking an online class — not sure which one it was now — when one of the other participants mentioned you, Jenna. She loved your newsletters and commented that she was learning a lot from you and thinking about joining the Writer’s Circle. I checked out your website, was very impressed, noticed that another Circle session was about to begin, and decided to join. I was feeling stuck in the memoir, but had decided it was time to stop working with my writing coach. I was ready to go out on my own, so to speak, and liked the idea of connecting with a group for accountability. Because I travel a great deal, it was important that the group meet online. First, I signed up for one session to see how I liked it. I am now on my second 4-month round. I liked it a great deal! What have you learned about your writing process from participating in the Writer’s Circle? I learned that, personally, I need structure and accountability. I’ve always been the type of person who follows through with her commitments. If I declare to the group that I am going to participate in a sprint or be on a coaching or welcome call or write for half hour that day, then it’s likely I’ll do it. The Writer’s Circle gives me a place for that kind of accountability. 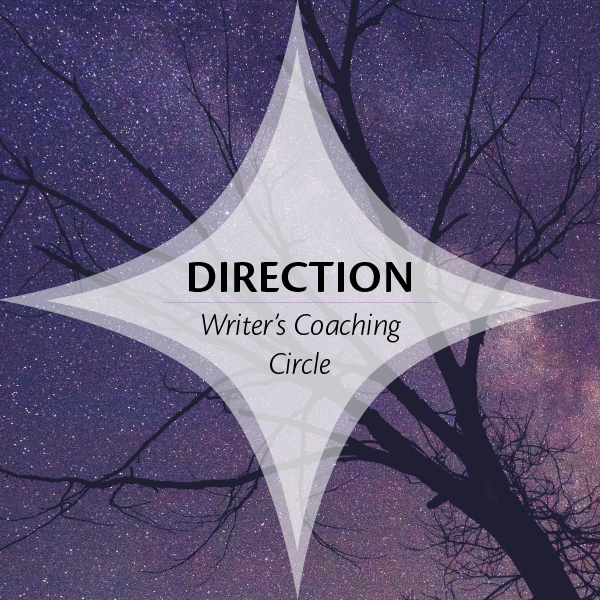 And the Circle gives me a connection to other writers and coaches who are writers themselves so I don’t feel so alone or unique in my creative struggles. I also discovered that there is an ebb and flow to my creative output. Jenna, her coaches, and the other writers in my small group accept that and honor it. This has normalized for me my way of creating and how my day-to-day life can affect my writing. What were the biggest challenges you faced before joining the Circle? Have they changed? What’s different now about your writing habit? The biggest challenges I faced before joining the circle were (a) believing that my desire to write was not a valid reason to give it time; and (b) that I was a writer at all! Both these challenges disappeared almost completely in the first month, and that’s pretty amazing given that I’ve held onto those opinions for most of my life. Before joining the Circle, I would go long periods without working on the memoir. During those periods, I struggled with depression because I wanted to write but was always talking myself out of it. I know it sounds strange, but that’s what was going on with me. Participating in the Circle gave me a reason to show up to the page and for me, that’s huge. Once I’m actually writing all the excuses and fears fall away for a bit and I know I’m in the right place doing what I need and want to do. These days I rarely miss a day when I’m not writing something and therefore I am also much happier. My advice to other writers is: Don’t underestimate your desire to write. If you have that desire this is something you are supposed to be doing. I compare it to singing for me. I have absolutely NO desire to sing in a band or a choir or even alone in the shower and that’s a good thing, because I also have absolutely NO talent for it! I believe we are given desire to accompany the talents we have. This isn’t to say that there won’t be times when we won’t want to write. Jenna, her coaches and the other participants of the Circle have shown me this happens to all of us at one time or another. Still, we return to the work because that’s who we are — writers. What’s next for you and your writing? I’m not sure what’s next for me. I still haven’t decided whether or not I’ll publish the memoir. I think I might publish a small printing through a self-publishing venue and let my friends and families read it. Then, after their input, I’ll decide if I want to try to market it. But I do know I will stay on in the Writer’s Circle (I’ve just committed to another four sessions) because they are my people and my life feels fuller when I’m connected to them. And I’ll keep writing … whatever it is I feel to write on any given day. I’d like to add that I truly believe that we need to be doing what we feel called to do and to find whatever help we need in order to do it. If we do so, we will be happier people and therefore so will our families, friends and communities. There IS time. Whether or not our work is ever published is not the point. The point is that as writers, we write. If you’d like to celebrate with Mary, please leave a note for her in the comments on the blog. And if YOU’RE dreaming of writing a memoir, tell us about it too and we’ll cheer you on!